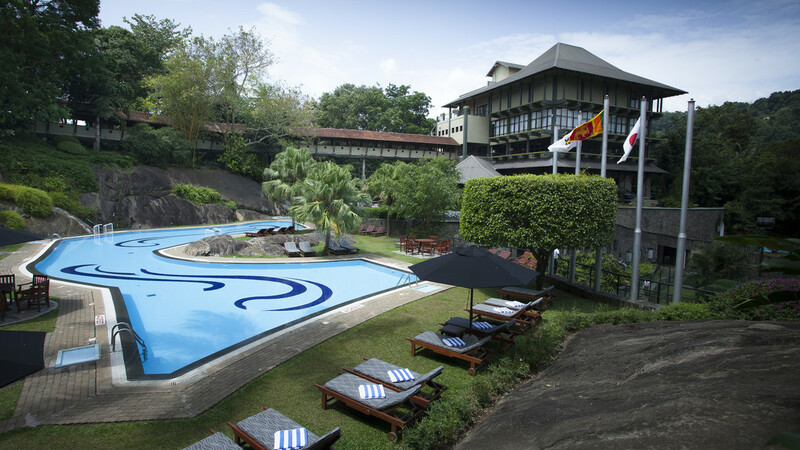 Settled high in the verdant hills of Sri Lanka’s central province, Earl’s Regency Hotel offers exquisite luxury and tranquillity close to the city of Kandy. With a regal quality to the décor throughout the accommodation, you’ll feel like royalty as you unwind in this naturally beautiful setting. Whether dining, swimming, or relaxing in your private space, at Earl’s Regency you’re surrounded by breath-taking views of lush greenery, gently flowing rivers, and magnificent mountains. Delectable dining options are available for every meal, with the traditional Sri Lankan breakfast being a must-try at least once during your stay. Earl’s Regency also boasts the first and only Indian restaurant in Kandy that’s popular with guests and locals alike. For a revitalising boost to body and mind, book into the Ayu Spa. Offering a soothing sanctuary, the Spa staff aim to blissfully pamper you with the luxurious menu of Sri Lankan speciality treatments. The fabulous facilities and outstanding location make Earl’s Regency an equally appealing choice for couples, families and honeymooners looking for an unforgettable Sri Lanka holiday. This hotel is set amongst the hills of the centre of Sri Lanka and therefore isn’t close to a beach. The attraction of this area lies in the exploring the surrounding hill-country, temples and the historic city of Kandy. 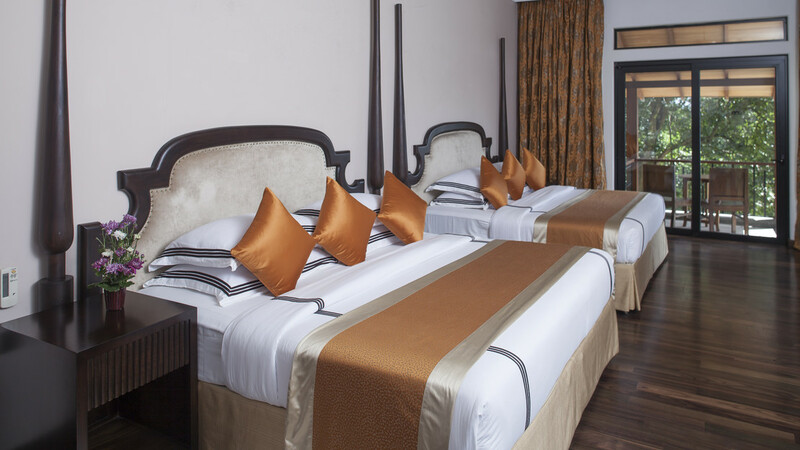 Earl’s Regency is approximately 7km from the centre of Kandy and 7.5km to Kandy railway station. Colombo’s Bandaranaike International Airport is approximately 110km away from Earl’s Regency Hotel. 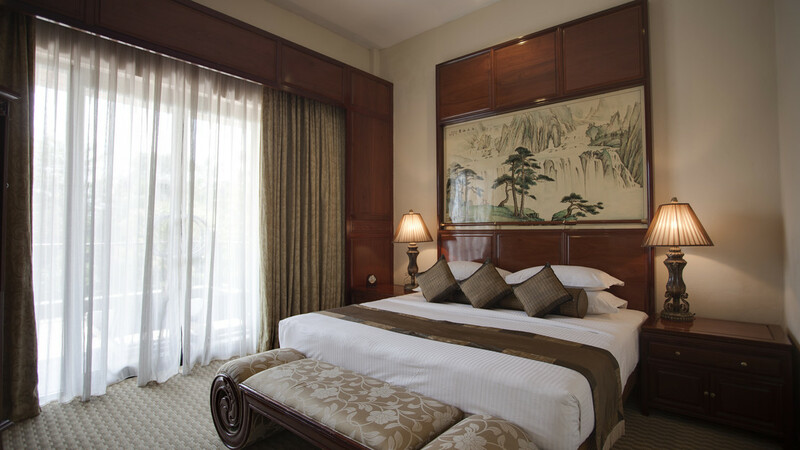 Live like royalty in this exceptionally luxurious suite. 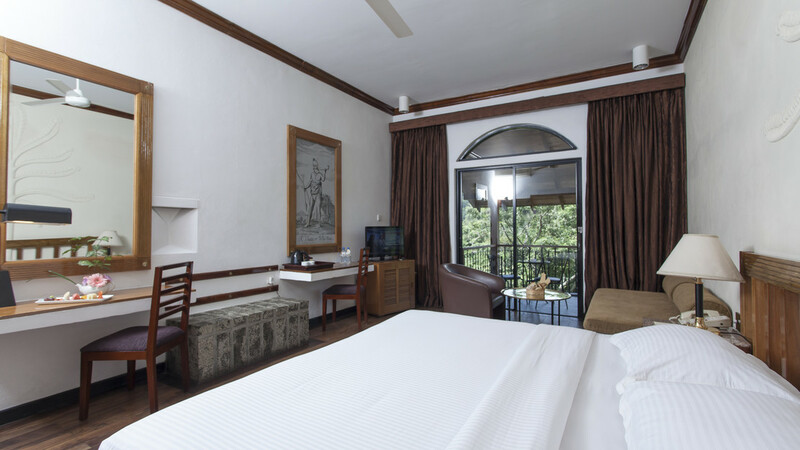 With over 920 square feet of space, you can really stretch out and get comfortable during you stay in Kandy. The large balcony is a perfect spot to enjoy your favourite tipple as you admire the magnificent views. There’s plenty of space for entertaining in the living and dining area. 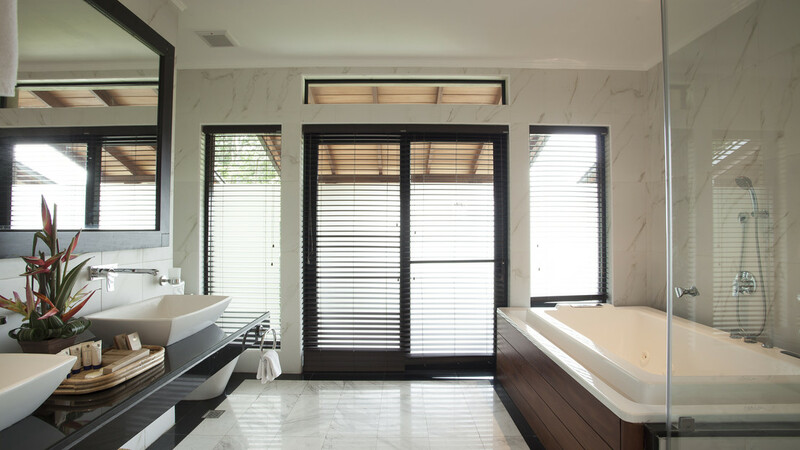 For a real treat at the end of a day's exploring, spend some time soaking tired muscles in the private Jacuzzi before sinking into the blissful double bed for a restful nights’ sleep. Designed to give you a sense of how the regal generations of the past lived, the Junior Suites are spacious and exceptionally elegant. The luxurious décor and breath-taking views make these a popular choice for honeymoon couples looking for somewhere special to stay in the mountains. There’s a king size bed or 2 twin beds available, a decadent bathroom and many other creature comforts to ensure a memorable stay. 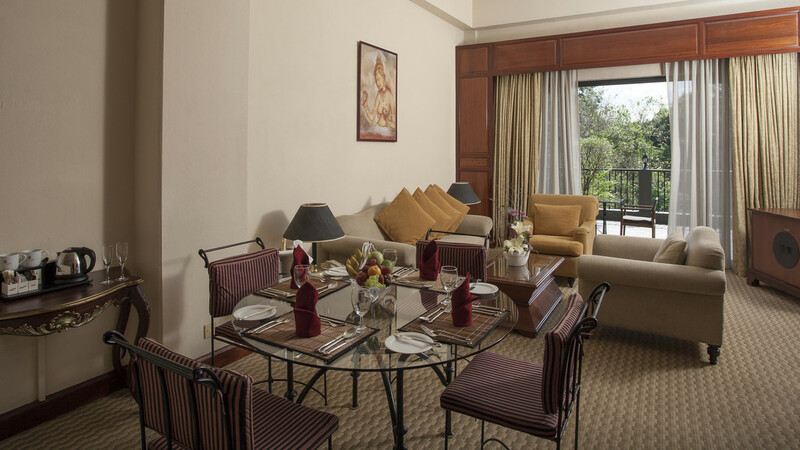 Start your day gazing out over magnificent views of the lush greenery and flowing rivers from the comfort of your private balcony. 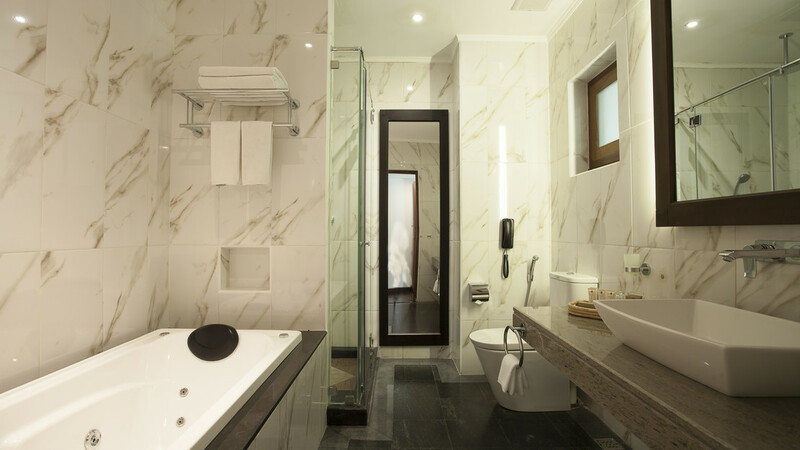 The décor in these Luxury Suites is inspired by the area, with a sophisticated regal touch. There’s a spacious bedroom with a decadent king size bed and a separate living a dining area that’s perfect for private romantic meals together. A highlight has to be the private Jacuzzi, that’s a perfect way to wash away any tension at the end of an exciting day exploring this stunning island. 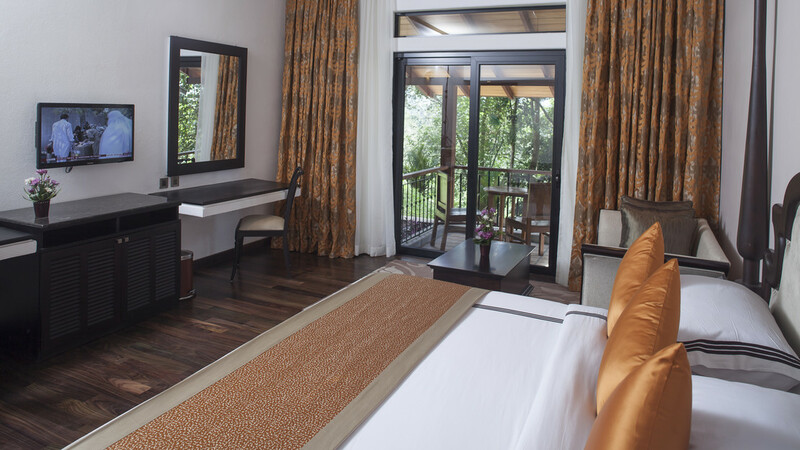 Featuring extensive space for all the family to stay together in comfort, these rooms have all you need for your Sri Lanka adventure. Designed in a classic style, there’s a large bedroom, luxurious en-suite bathroom and a private balcony that overlooks sensational views of the mountains. For a romantic stay in the heart of Sri Lanka, the Luxury Rooms at Earl’s Regency Hotel offer a truly special choice. Kick back, relax and enjoy the magnificent space, which features elegant furnishings in the classic style of this area. 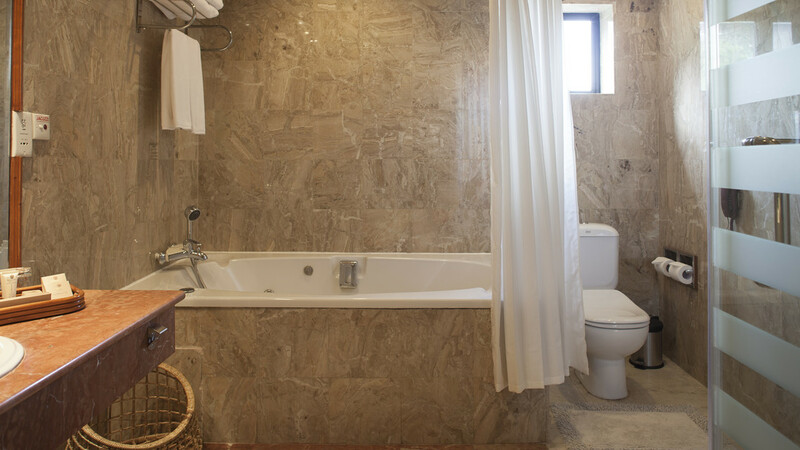 There’s a king-sized bed or twin beds and a fabulous bathroom with a private Jacuzzi. 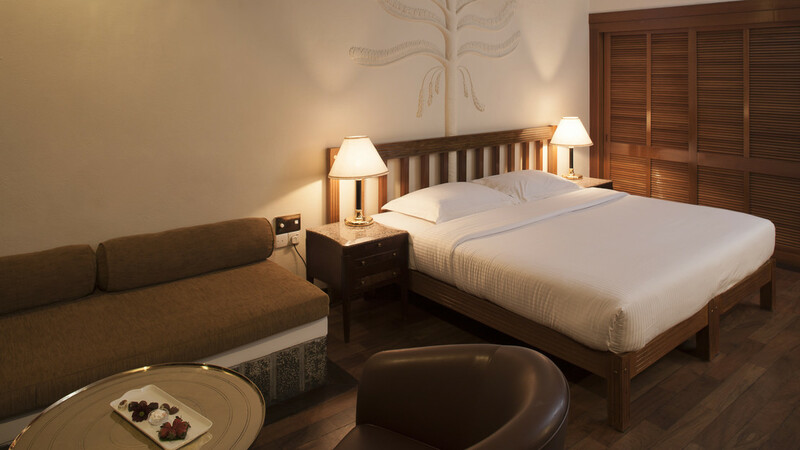 These spacious rooms offer a relaxing place to rest your head at the end of a day of exciting new experiences. With either a king-sized bed or twin beds, there’s also a sofa area to relax in and an en-suite bathroom with a bath tub. The balcony makes a lovely place to enjoy a fresh cup of Sri Lankan tea while gazing out over the lush greenery of this mountainous area. 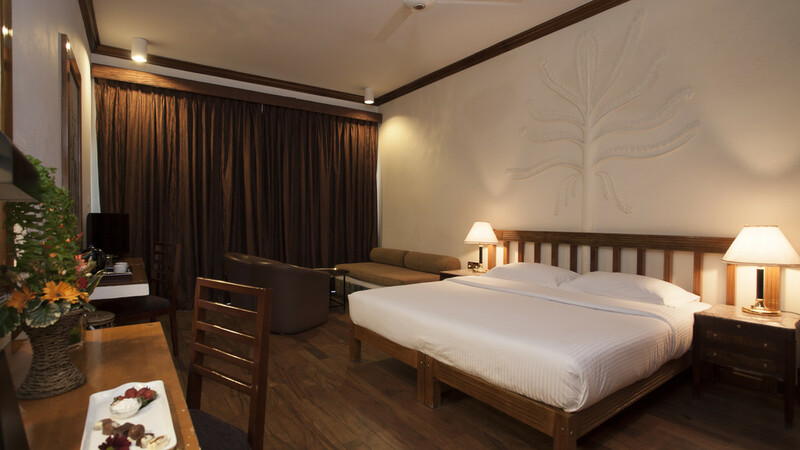 These relaxing rooms offer a peaceful base for exploring the area, with great value for money. Although smaller than the other rooms at Earl’s Regency Hotel, they still have plenty of space for you to get comfortable. 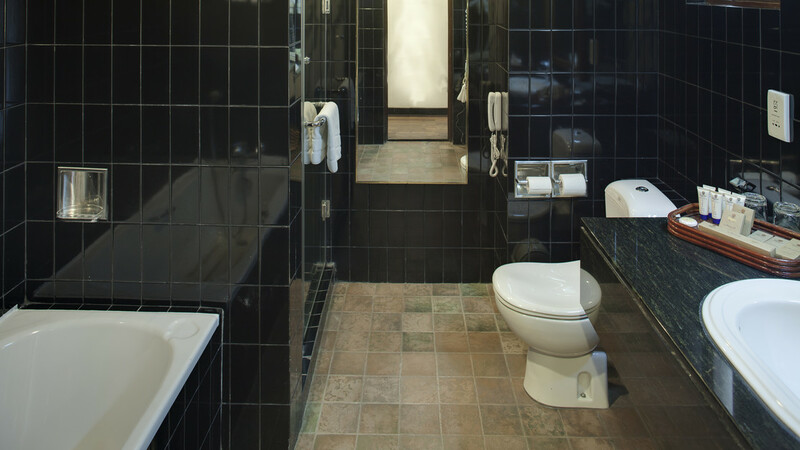 There’s a king-sized bed or twin beds and the en-suite bathroom has a welcome bath tub. Dine amongst spectacular mountain views, in this impressive buffet-style restaurant that serves a multitude of gastronomic delights for breakfast, lunch and dinner. Start your day with a full breakfast to boost your energy for the activities ahead. There’s a wide selection of dishes available, including favourites from around the world, and a traditional Sri Lankan breakfast. Lunch is served from an a la carte menu and features lighter bites, which leave space for an indulgent dinner. The evening meal has an exciting mix of themed cuisines, such as Mexican, British and gastronomies from the Far East. Drift into the irresistible aroma of spices and cinnamon at this exquisite Indian restaurant. The experienced chefs are from Bangalore, and serve up a multitude of traditional dishes and authentic flavours using fresh local ingredients. Open for lunch and dinner, there’s all the classic curries, including vegetarian options, alongside perfectly cooked rice and naan breads. Relax with a refreshing drink, while taking in the picturesque mountain views. Named after Lord Mountbatten, this lounge bar is open 24 hours a day, serving a tempting menu of snacks alongside the freshly prepared drinks. Choose from all your favourites whenever you’re feeling peckish, including burgers, pizzas and chips.